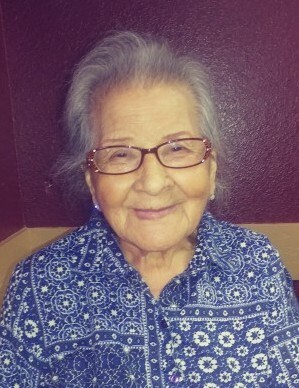 Maria Carmen Rocha,89, entered eternal rest on Tuesday, March 19, 2019 surrounded by her loving family. Maria Carmen was born on July 16, 1929 in Mexico to Sebastian and Maria De La Luz (Hernandez) Trevino. Maria was a resident of McAllen for more than 20 years. She had lived in Pharr for the past two years. Maria was full of life. 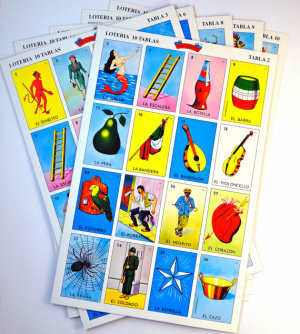 She loved and enjoyed with a passion playing "Loteria", dancing, making and collecting jewelry and many other things. She loved her family very very much. Maria Carmen Rocha truly enjoyed her life to the fullest. She was preceded in death by her parents; Her husband-Zacarias Rocha; and her siblings. Left to cherish her memory is her loving family; Her children- Eduardo Vargas, David Rocha, Ricardo Rocha, Blanca Estella Rocha, Marta Alicia Rocha, Jaime Rocha, Belinda R. Pena; Her grandchildren that she adored- Dominique Vargas, Jaime Ray Rocha, Carla L. Vera, Jesus M. Quintanilla, Iliana Rocha, Hiram Pena, Sebastian Pena,Alexandra Rocha, Ashley Rocha; Great Grandchildren- Serenity Vargas and Madison Herrera. A gathering of family and friends will be held on Thursday, March 21, 2019 at Rivera Funeral Home,1901 Pecan Blvd. in McAllen from 1:00 PM to 9:00 PM with a prayer service to begin at 7:00 PM. Funeral services will be on Friday,March 22, 2019 at 10:00 AM at the funeral home chapel. Interment will follow to Valley Memorial Cemetery in Mission.